Serendipity Reviews: Writing Words - That Piece of Crap Formerly Known As A First Draft. Writing Words - That Piece of Crap Formerly Known As A First Draft. Last week I was really excited to finish the first draft of my latest book. This week, I'm pulling my hair out as I glance through it, because basically it's crap. I know it's crap, you guys know it's crap and why? Because it is just the first draft and first drafts are made to be crap. The first draft is about getting that idea formulated in your mind. It's about developing your characters and having a better idea of where the story is heading. It is never going to be a prize winning edition of your story, so please NEVER EVER SENT IT OFF TO AN AGENT OR WRITING COMPETITION IN IT'S PRESENT STATE (like I did when I wrote my first ever story). So I'm sifting through my first draft like it's all that remains of a fire, picking out any bits that can be salvaged and reused for the next draft. There's a lot of wincing and a lot of head shaking going on at the moment. Even the odd, "what the hell were you thinking?" pops into my head. My inner editor has settled into her chair at the boardroom table just like Alan Sugar, and is pointing at the door insisting that I'm fired and I should go back to my day job. But I know I have to fight these thoughts. I've been here before. I know what happens next, so I have to stay strong. Deep inside that pile of crap is an amazing story. Sentences and phrases will rise to the surface bringing a smile to my face and the odd giggle. It will be great. It's not right now, but it will get there. 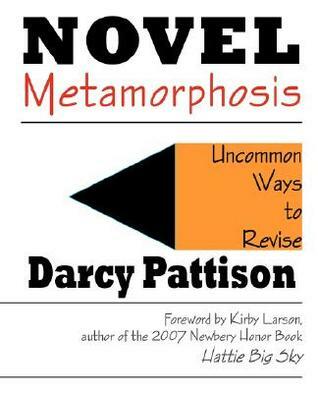 So out comes the trusty Novel Metaphamorphosis by Darcy Pattison, which has been a great companion over the last couple of years. A recommendation by the Book Bound team, it is definitely the best money I've ever spent on a writing book. And so begins the long list of things that need to be edited. Only this time I'm doing it a bit differently. I'm setting up a bullet journal, especially for this new book. I hope to talk more about this in the coming weeks as I develop it, but now I'm still figuring out how to make it work for me. 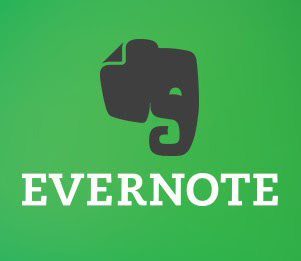 I will also be using Evernote for research purposes...if I can ever get it work properly. I'm going to take my time with this book, because rushing doesn't really work for me. Hope you guys are in it for the long haul. From now on in each post, I will be owning up to my writing achievements throughout the week. Nothing makes you work harder, than having to publicly admit your progress! New Words: 5,827 (not sure what happened here. I had absolutely no plans to start writing anything new, but this story came to the surface during #UKYA and I felt I needed to get it down on paper. As it is based on some real life events, it's flowing very easily and very therapeutic. So we will see where it goes. Yassssss! DARCY BOOK! I use it...I live it. I'm rewriting a draft and having the same Ewwwwww thoughts about its quality. I'm highlighting the occasional emotional beat here and there and keeping nothing else...and I'm rewriting every word of it. I love the steaming mess that is my first draft because putting my characters through it showed me who they were. Now I'm rewriting it all, but I know them. Onwards!